After the Nigeria shirt sold out in minutes, fans are now looking for alternative kits. This time next week, the 2018 FIFA World Cup will be well underway. If you need to take a few deep breaths to let that sink in for a moment, we really wouldn’t blame you. The pre-tournament hype reached new levels towards the end of last week, as Nike finally released their highly-anticipated Nigeria kit to the masses. With queues stretching out of high street shops and online stores unable to cope with the traffic, the new Nigeria strip sold out in well under half an hour- and there are no plans for Nike to release any more. This has left many fans understandably disappointed, since the chances of grabbing their own Nigeria shirt are now incredibly slim. 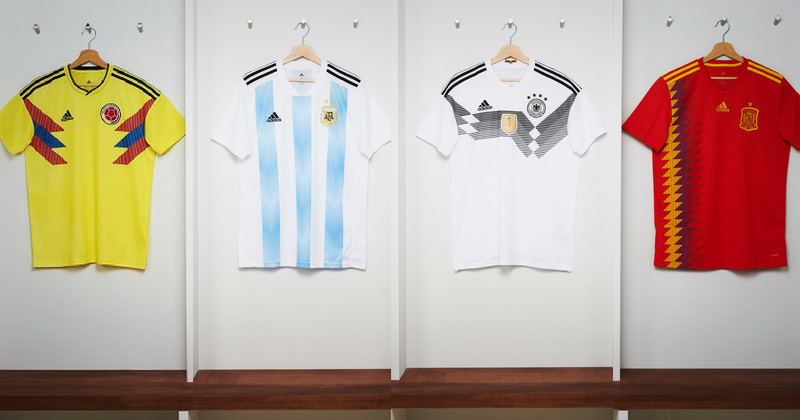 However, there are plenty of other gorgeous World Cup 2018 shirts to get your hands on, and you’ve still got enough time to bag one before it all kicks off in Russia next week. 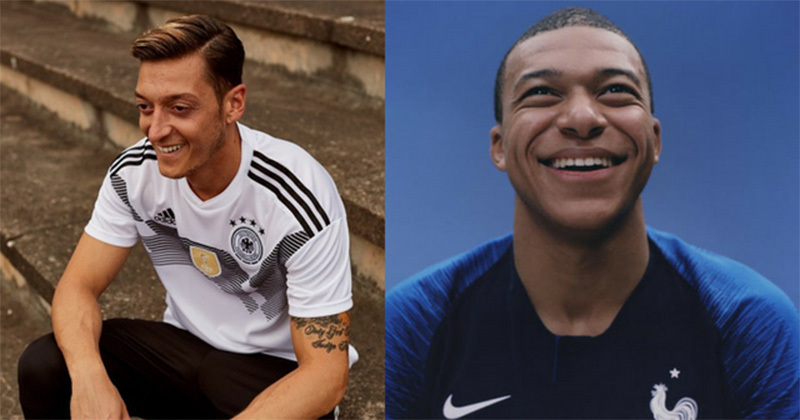 Although the vibrant Nigeria strip might have been stealing the headlines, adidas’ gorgeous collection of Germany kits has also been making waves. The Germany away kit, in particular, has proven incredibly popular among football fans, with the dazzling green colourway and iconic graphic certainly catching the eye. The away strip is also a little cheaper than the home kit, and you can currently bag it at FOOTY.COM for £59.99. We’ve found you even lower prices on the equally-popular France home kit, too, which you can get for £52.81; while their highly sought-after away strip is available for £60. Despite their slightly bland appearance, England football kits always manage to sell well in a World Cup year. The Three Lions’ away shirt has been a little more popular with fans so far, and it’s available for around £55 from most retailers. 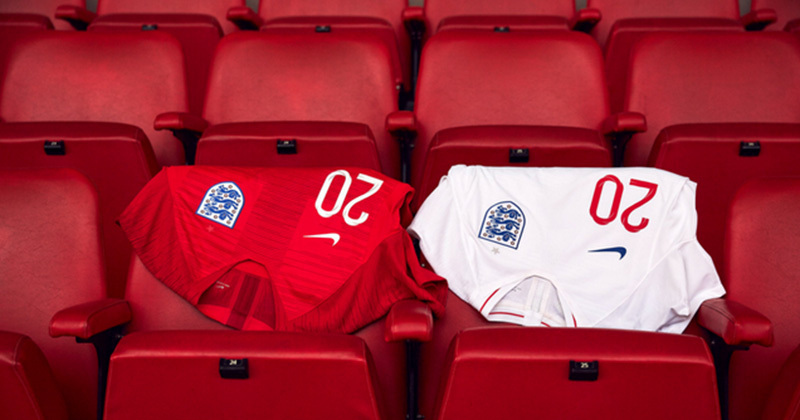 However, this has caused a drop in price for the England home shirt, and you can currently bag one for under £40 - which is actually cheaper than the kids size! You can find even lower prices on a huge range of retro England shirts, if you fancy grabbing an older World Cup kit to save some extra cash. Classic England ’98 kit for just £24 anyone? It’s fair to say that Croatia football kits have always been popular, and you can bag both the home and away kit for around £60 each. The stunning Colombia home kit is available for a similar price; however you can save a cheeky tenner by bagging their retro 1980 World Cup kit, which is almost identical to the new design. 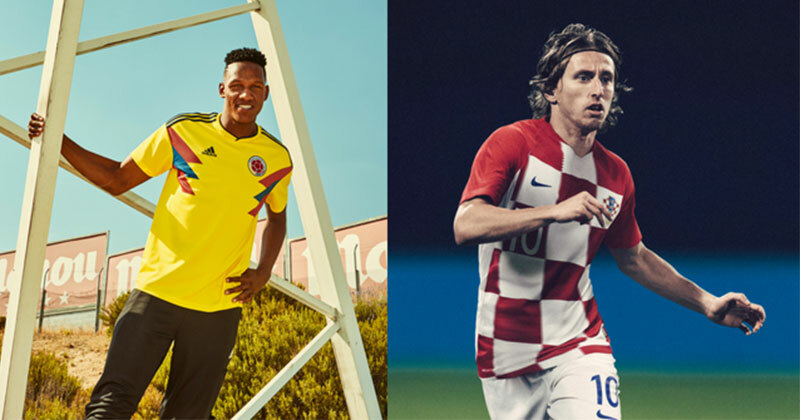 While the majority of the new World Cup kits are priced at around £50-£60, we’ve actually found you a few football kits cheaper than the £39.99 England home kit. 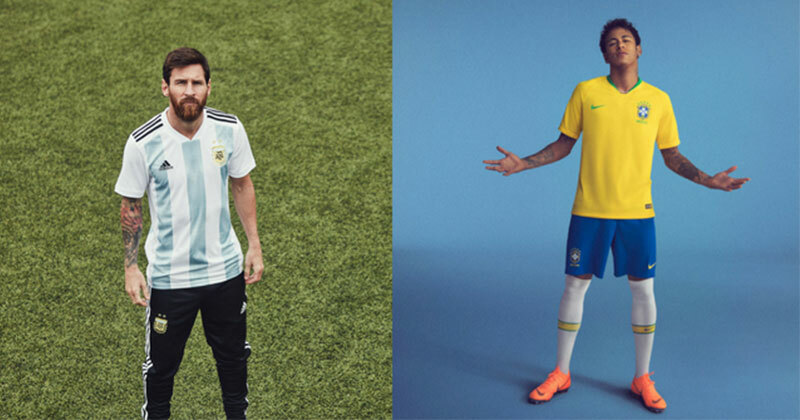 The World Cup would never be complete without that iconic shade of ‘Samba Gold’, and you can grab the new Nike Brazil home kit for just £39.99- a surprising discount considering how popular their shirts have been down the years. Adidas’ new Argentina home shirt is available for the even lower price of £35, but the best World Cup 2018 kit deals can undoubtedly be found with Puma. Both the Uruguay and Switzerland home shirts are available for just £15, but you’ll have to move quickly to beat the rush and bag such a massive bargain! A World Cup 2018 kit for under £20? It’d be rude not to. Prices are always subject to change and we hope to see even further discounts as the tournament finally gets underway. No matter who’s flag you’ll be flying, make sure to compare prices on all World Cup 2018 football kits with FOOTY.COM this summer.